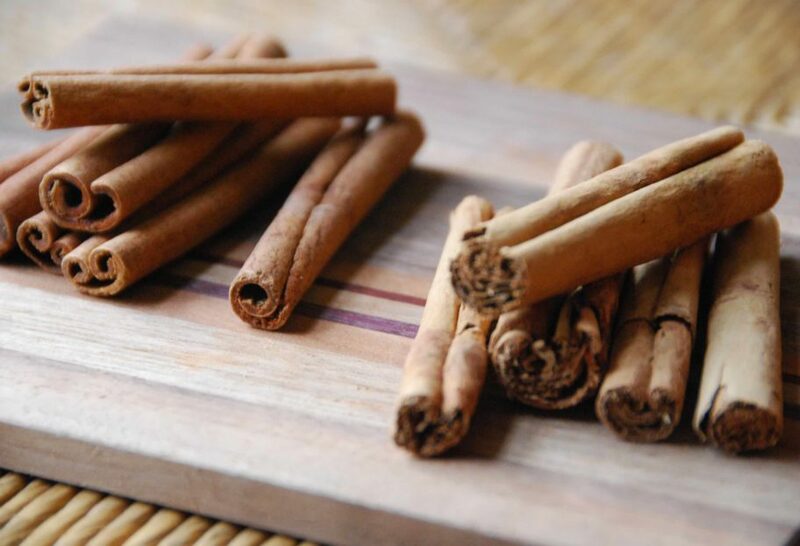 The cinnamon mostly used in Mexican cuisine is called Ceylon, or Canela in Spanish, and it is also known as true cinnamon. It is quite different from Cassia, which is mostly found in US stores. However, as time moves on, one can find true cinnamon in an increasing number of stores here. The differences are in the looks but also in the flavor and aroma. Ceylon, or true cinnamon (pictured on the right side of the photo), has a milder but sweeter taste. It crumbles much easier, has a lighter color and each stick looks different from the rest. It also has more fragrance than Cassia. Cassia (pictured on the left side of the photo) sticks are much more uniform, so one stick looks very much like the next. It has a darker color, it is much harder, thus very difficult to tear or crumble. While it is less sweet than Ceylon, it has a much stronger, and even a bit harsh, flavor. Estas con tu familia, que Dioste Bendiga!?. Saigon Cinnamon is NOT Ceylon Cinnamon. It is very nice but has very high levels of Coumarin which can damage your liver. That is exceptional information! It explains why I buy ground cinnamon and find that I have to use so much more than the newspaper recipes specify. In future I will be more selective about which cinnamon I buy. Ceylon! Estoy de acuerdo con el comentario de Velia!? Muchas gracias Pati por la información. Yo no sabia distinguir las dos canelas. Esto me ayudo mucho.Y si aqui en USA ya se puede encontrar canela pura.Gracias de nuevo por tu ayuda. What is Saigon Cinnamon, which I prefer? Canela en el café, para una explosión de sabor..
De la canela Mexicana sale un te deliciosamente rojo. La canela imitacion, da un te de color sucio. How do I know? My package says El Sabor de Mexico– Canela entera. It looks like the cinnamon sticks on the left. They are hard and do not crumble easily. Nicely done Pati. I am wondering since, Mexican recipes use Ceylon Cinnamon exclusively how many of your recipes in your book use Ceylon Cinnamon. Impressive that the book is an Amazon best seller.